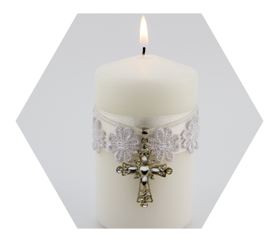 A baptism or christening is an important ceremony that deserves a celebration. 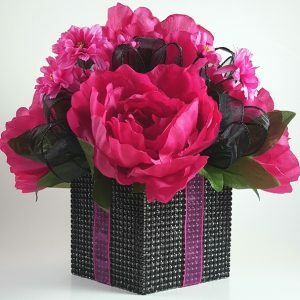 We carry a variety of personalized party favors and supplies to make your special day memorable. A new baby is one of the most joyous occasions for the happy couple. 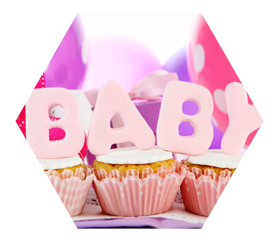 Having a baby shower to celebrate the welcoming of your new baby is a special event. 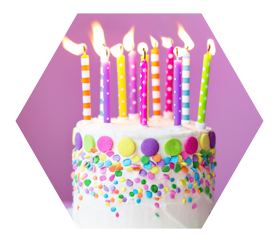 We have a variety of personalized favors, cake toppers, centerpieces, and more to make your celebration complete. No matter what the age is, a birthday will always be a special day in your life. 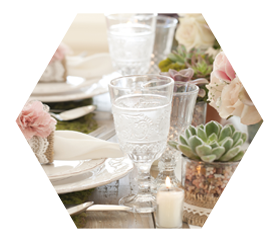 Whether you plan a small intimate party or a big event with all of your friends and family, we have many items to make it memorable. The wedding day is one of the most special days of our lives. It is a day to celebrate love and commitment. Details make all the difference, and we want to make your day as special as possible. 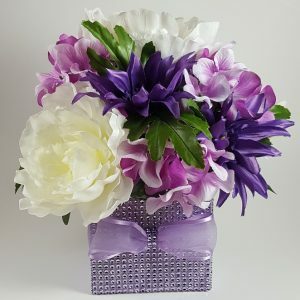 We offer good quality products, personalized favors, cake toppers, centerpieces, and accessories. Every girl deserves to be treated like a princess at her Quinceñero/Sweet 16. We offer traditional items with a modern twist to fit the occasion. 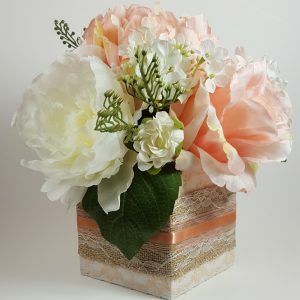 Whatever the event, be it a wedding, a graduation, or a family reunion, we provide items that are special and unique to your occasion. 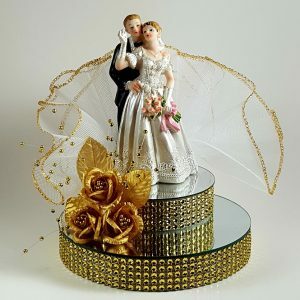 As the traditional bride and groom wedding cake topper designs are gaining popularity we strive to offer you the most variety to suit your wedding style and theme. 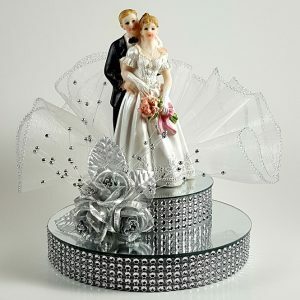 This beautiful wedding cake topper showcases a bride and groom on a mirrored base with a faux rhinestone ribbon, accented with flowers, pearl spray and tulle. 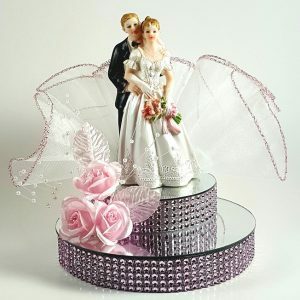 Add a dazzling touch to your wedding cake with this beautiful wedding cake topper. 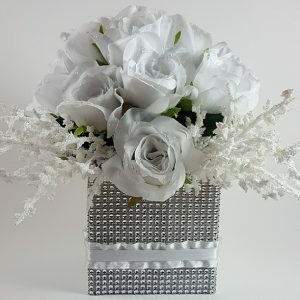 It features a bride and groom on a mirrored base, accented with flowers, leaves and pearls. 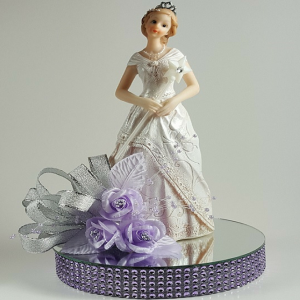 As the traditional Sweet 16 and Mis Quince cake topper designs are gaining popularity we strive to offer you the most variety to suit your style and theme. 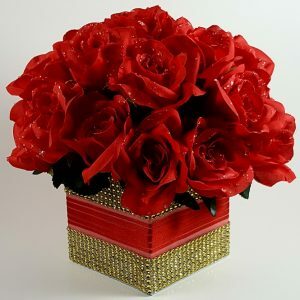 Made especially for you and your special occasion. 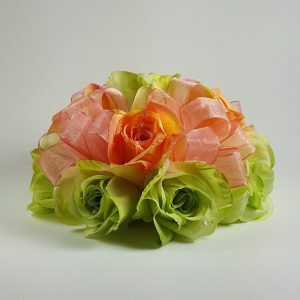 This beautiful contemporary floral cake topper will add elegance to your cake. This gorgeous silk flower table top with Peonies and Cosmos is the perfect centerpiece for a wedding, bridal shower, birthday celebration, baby shower or any special occasion. 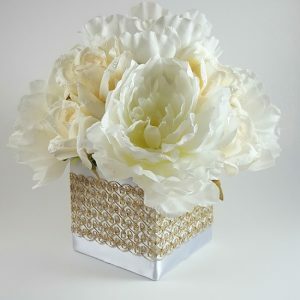 This faux flower arrangement will look beautiful on any table in your home or office. 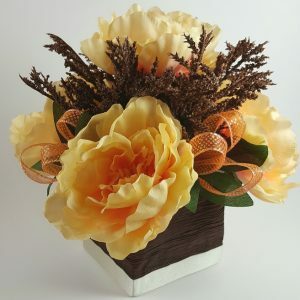 This gorgeous centerpiece featuring peach peonies accented with brown spray for added texture and sparkly orange ribbon has a chic and modern look. Perfect for any special occasion ! !